The Grashaus at the Fischmarkt – the station "Europe" on the Route Charlemagne – is a place of extracurricular learning. 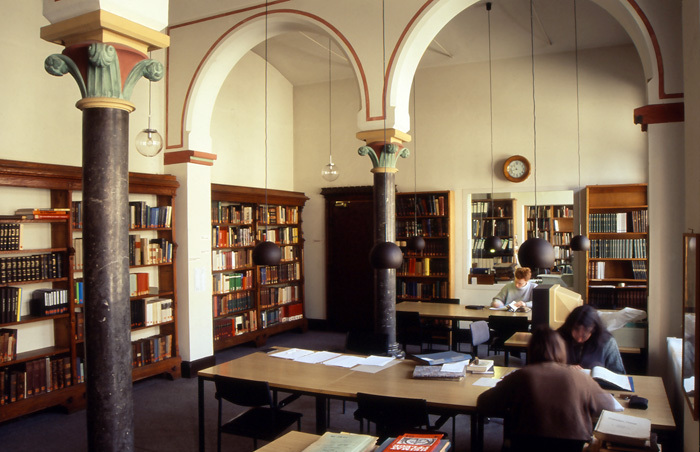 The "European Classroom" offers an unusual approach to the topic of "Europe" in all its historical, current and future dimensions. Its target group encompasses pupils of lower and upper secondary school classes. Here, these young people are invited to learn about Europe's history and to discuss Europe's present and future with each other. The Grashaus is not a museum. Visitors who would like to view the building have an opportunity to do so in the context of guided tours. 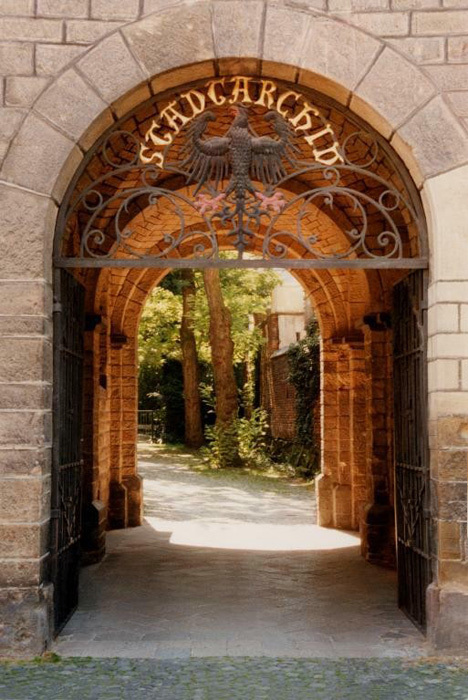 Built in 1260, the Grashaus was Aachen's first Town Hall and a clear statement of the new identity of its citizens, who had had a Town Council of their own since 1258. Later, the building was used as a court and a dungeon. It was mainly serious offences punishable by death that came to trial here. The condemned were publicly beheaded in the courtyard. For a while, locals believed – because of this period in the building's history – that the name "Grashaus" was derived from the Middle High German adjective "graz" (angry, raging, furious) or the verb "grazen" (to scream, to wail). However, the name more likely refers to the grassy lawn that once surrounded the building. 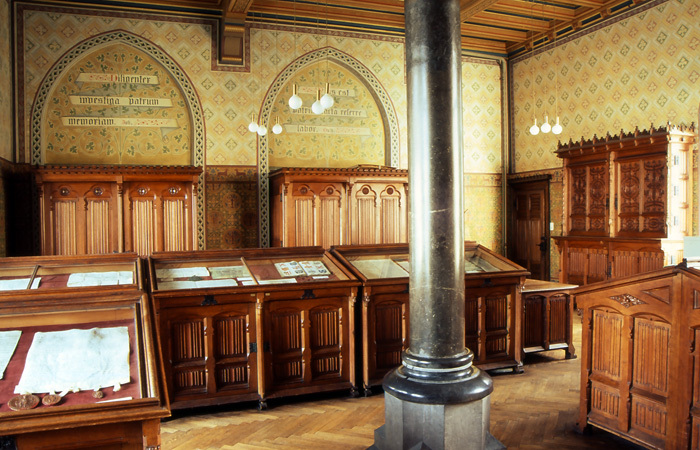 From 1890 to 2013, the Grashaus served as Aachen's City Archive. In the Grashaus, school classes learn all about Europe. 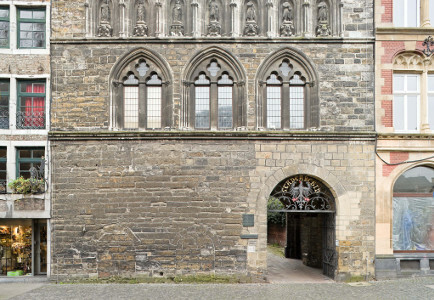 The Grashaus was built in 1267 and served until 1349 as Aachen's first Town Hall. It symbolised the will of the citizens to take the fortunes of their town into their own hands. In the framework of the Route Charlemagne, the Grashaus represents the theme "Europe" and will become a place of learning about Europe.